Focusing on the intersection of religion, law, and politics in contemporary liberal democracies, Blackford considers the concept of the secular state, revising and updating enlightenment views for the present day. 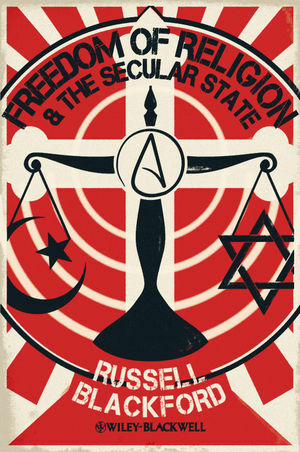 Freedom of Religion and the Secular State offers a comprehensive analysis, with a global focus, of the subject of religious freedom from a legal as well as historical and philosophical viewpoint. It makes an original contribution to current debates about freedom of religion, and addresses a whole range of hot-button issues that involve the relationship between religion and the state, including the teaching of evolution in schools, what to do about the burqa, and so on. Russell Blackford is an Australian philosopher and literary critic, based at the University of Newcastle, NSW. He is editor-in-chief of The Journal of Evolution and Technology, and co-editor, with Udo Schüklenk, of 50 Voices of Disbelief: Why We Are Atheists. His areas of expertise include legal and political philosophy, philosophical bioethics, metaethics, and philosophy of religion. He has published essays, stories, and reviews in a wide range of magazines, anthologies, and academic journals.